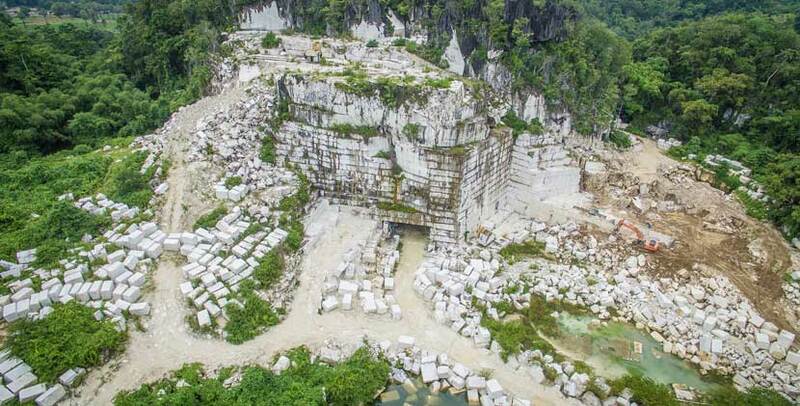 PT Gunung Marmer Raya’s quarry spans over 18 hectares, located in Pangkep, South Sulawesi. 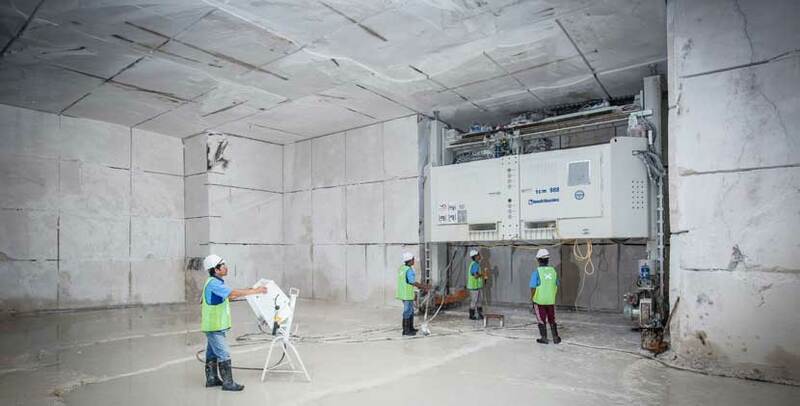 The site is supported by integrated production plants consisting of gang-saws, splitting, calibrating, grinding, and polishing lines, block-cutters and bridge cutters. Our mines expand as vast as 32 hectares. 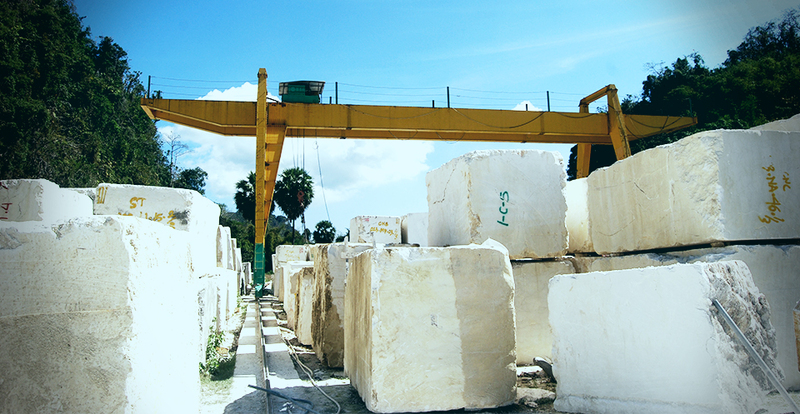 With deposit of thousands of cubic meter of marble, we are able to supply our customers with any quantity required. 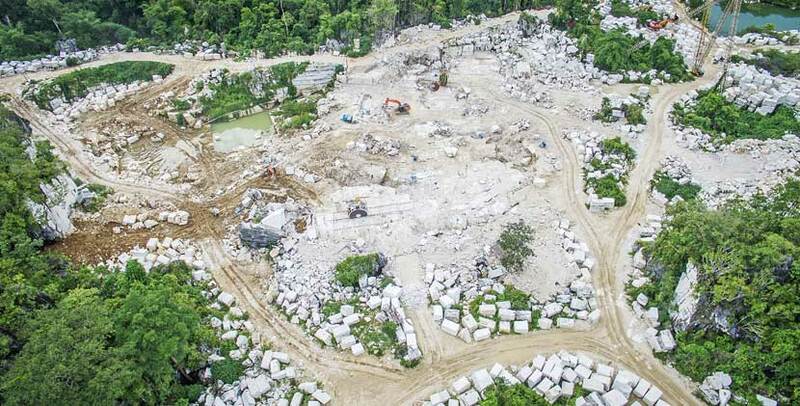 Hence, producing quarry with average monthly production capacity of 2,500 cubic meters (equals to 7,000 tons). 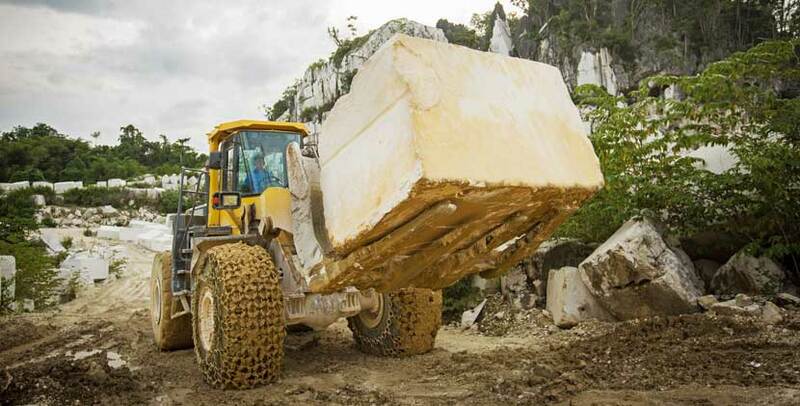 The quarry is equipped with the latest plant and equipment for stone mining industry. 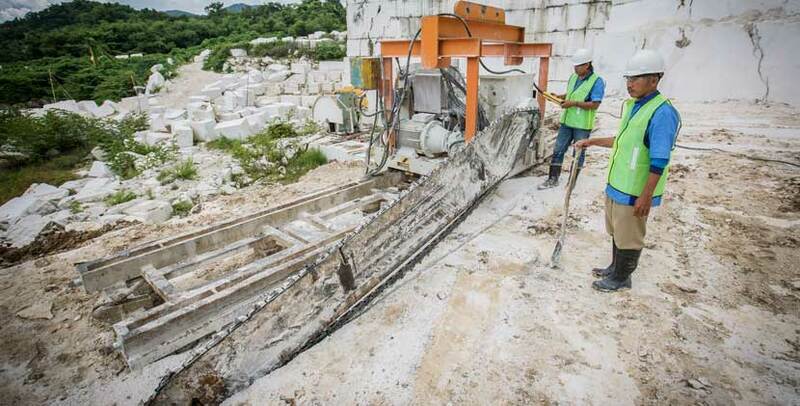 The company utilizes several Italian chainsaw, wire saws, core drills for cutting and the latest excavators and wheel loaders. Through our facilities, we can provide assurance of timely delivery.